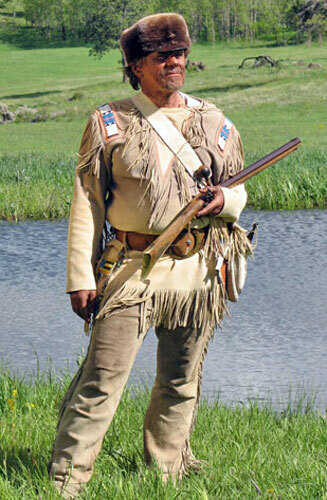 Scouts were vital to the military during the Indian Wars period, finding safe routes of passage in dangerous times. 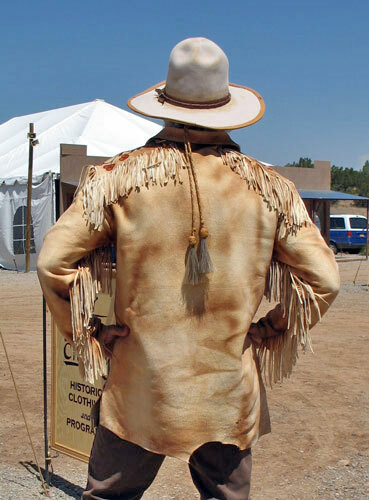 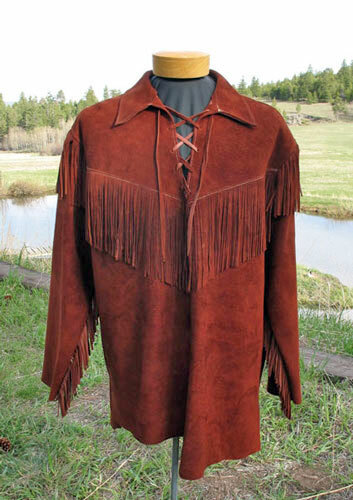 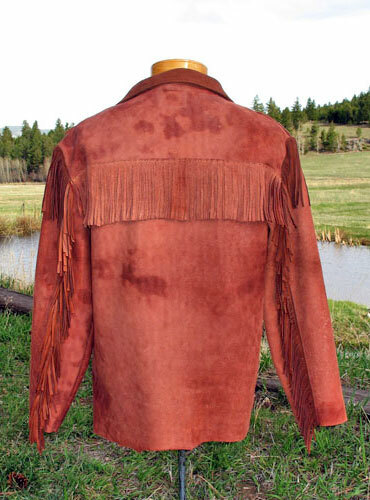 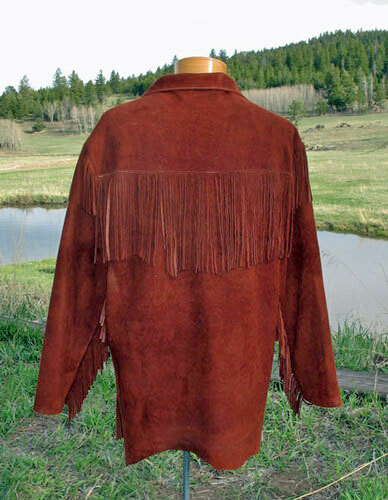 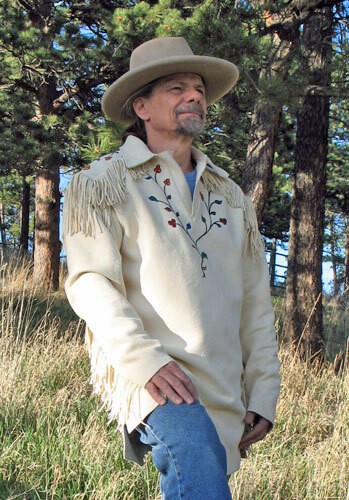 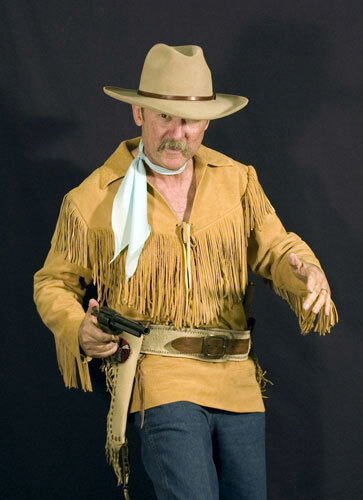 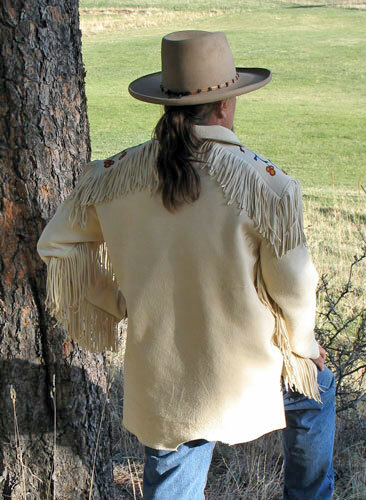 Our deerskin Shane shirt is influenced by the attire of these brave men of the American West. 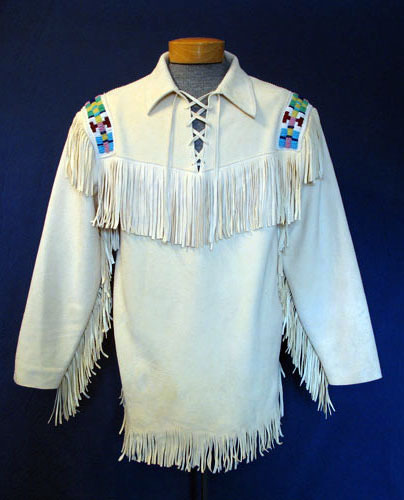 Bib front buckskin shirts were often worn by General George Armstrong Custer and our Hondo shirt is an adaptation of this popular garment. 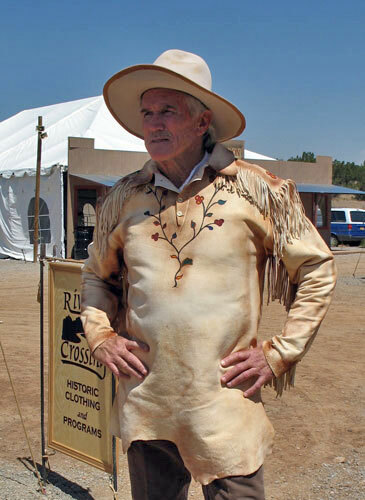 Our Range Rider Shirt was created at the request of none other than Bob Boze Bell, the world-renowned Western artist and CEO of True West Magazine. 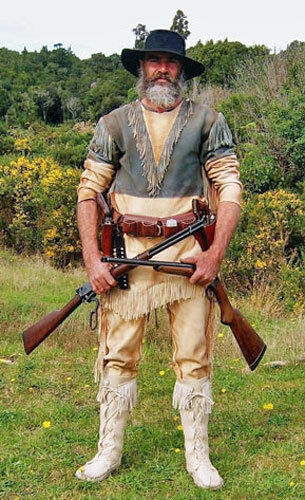 As the first explorer to open up the American Old West, the mountain man at times adopted the clothing of his Native American neighbors. 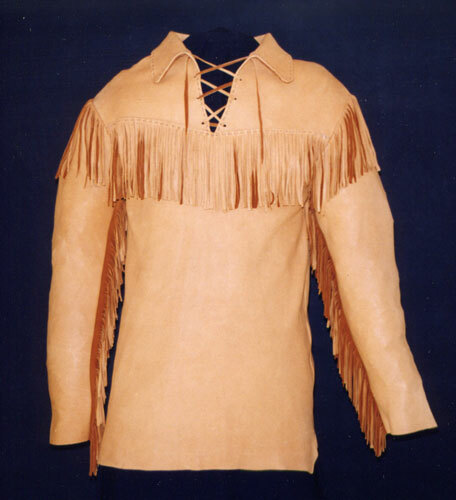 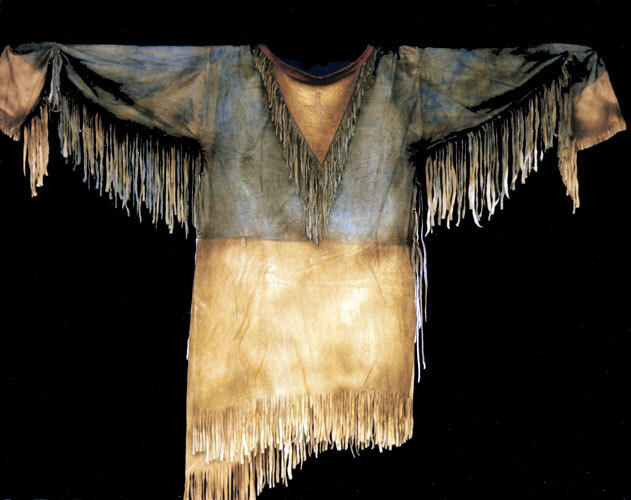 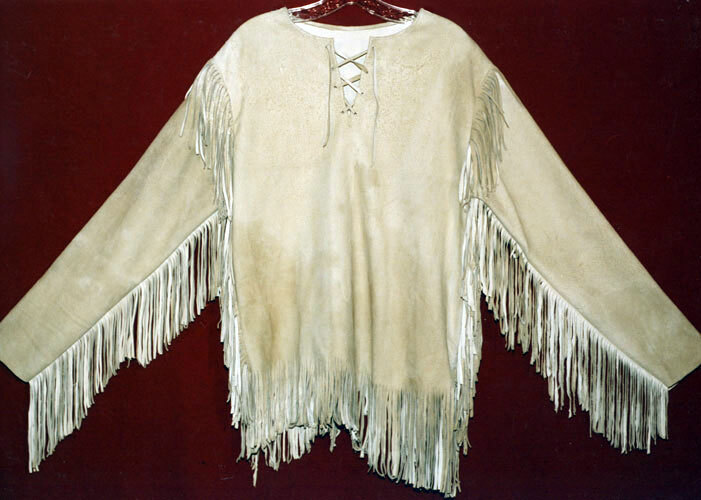 Buckskin garments were soft and comfortable, while still being tough and unique. 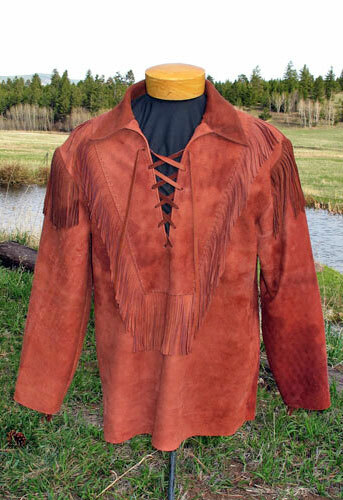 Our shirts are made of the finest deerskin leather for comfort and durability. 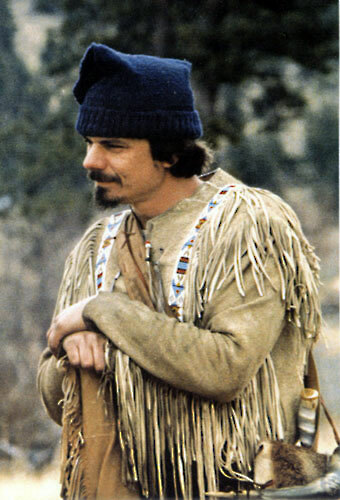 As the inspiration for the mountain man look, these Indian-style shirts are also well-suited for Native American looks.